language advantage brings you top language courses from Earworms to help you learn to speak a language on your CD, MP3, iPhone, iPod Touch and iPad. 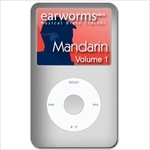 Enjoy learning languages in a completely unique and fun way with Earworms Rapid language courses. Listen to the rhythmic repetition of songs and melodies to help you learn the language by using your long-term memory or what they call the ‘accelerated learning technique’. You will be speaking real language without even realising it! The Earworms Rapid language course range is available in Arabic, Brazilian Portuguese, Cantonese, Dutch, French, German, Greek, Italian, Japanese, Mandarin Chinese, Polish, Portuguese, Russian and Spanish. 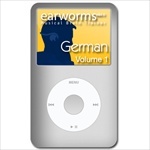 Learn to speak a language in 70 minutes and on the go with Earworms Rapid Languages! Learn essential words at the heart of the Arabic language and how to put them together to make yourself understood. Volume 1 deals with the essentials you need for a trip abroad, whilst Volume 2 deals with more general conversational terms including the past, present and future tenses. This is a fun way to learn a language rapidly and will have you speaking real Arabic straight away! This product is available as a download as well as on audio CD. Learn essential words at the heart of the Brazilian Portuguese language and how to put them together to make yourself understood. Volume 1 deals with the essentials you need for a trip abroad, whilst Volume 2 deals with more general conversational terms including the past, present and future tenses. This is a fun way to learn a language rapidly and will have you speaking real Brazilian Portuguese straight away! Learn essential words at the heart of the Cantonese language and how to put them together to make yourself understood. Volume 1 deals with the essentials you need for a trip abroad. This is a fun way to learn a language rapidly and will have you speaking real Cantonese straight away! This product is available as a download as well as on audio CD. Learn essential words at the heart of the Dutch language and how to put them together to make yourself understood. Volume 1 deals with the essentials you need for a trip abroad. This is a fun way to learn a language rapidly and will have you speaking real Dutch straight away! This product is available as a download as well as on audio CD. Learn essential words at the heart of the French language and how to put them together to make yourself understood. Volume 1 deals with the essentials you need for a trip abroad, whilst Volume 2 deals with more general conversational terms including the past, present and future tenses. This is a fun way to learn a language rapidly and will have you speaking real French straight away! This product is available as a download as well as on audio CD. Learn essential words at the heart of the German language and how to put them together to make yourself understood. Volume 1 deals with the essentials you need for a trip abroad, whilst Volume 2 deals with more general conversational terms including the past, present and future tenses. This is a fun way to learn a language rapidly and will have you speaking real German straight away! This product is available as a download as well as on audio CD. Learn essential words at the heart of the Greek language and how to put them together to make yourself understood. Volume 1 deals with the essentials you need for a trip abroad, whilst Volume 2 deals with more general conversational terms including the past, present and future tenses. This is a fun way to learn a language rapidly and will have you speaking real Greek straight away! This product is available as a download as well as on audio CD. Learn essential words at the heart of the Italian language and how to put them together to make yourself understood. Volume 1 deals with the essentials you need for a trip abroad, whilst Volume 2 deals with more general conversational terms including the past, present and future tenses. This is a fun way to learn a language rapidly and will have you speaking real Italian straight away! This product is available as a download as well as on audio CD. Learn essential words at the heart of the Japanese language and how to put them together to make yourself understood. Volume 1 deals with the essentials you need for a trip abroad, whilst Volume 2 deals with more general conversational terms including the past, present and future tenses. This is a fun way to learn a language rapidly and will have you speaking real Japanese straight away! This product is available as a download as well as on audio CD. Learn essential words at the heart of the Mandarin Chinese language and how to put them together to make yourself understood. Volume 1 deals with the essentials you need for a trip abroad, whilst Volume 2 deals with more general conversational terms including the past, present and future tenses. This is a fun way to learn a language rapidly and will have you speaking real Mandarin Chinese straight away! This product is available as a download as well as on audio CD. Learn essential words at the heart of the Polish language and how to put them together to make yourself understood. Volume 1 deals with the essentials you need for a trip abroad. This is a fun way to learn a language rapidly and will have you speaking real Polish straight away! This product is available as a download as well as on audio CD. Learn essential words at the heart of the Portuguese language and how to put them together to make yourself understood. Volume 1 deals with the essentials you need for a trip abroad, whilst Volume 2 deals with more general conversational terms including the past, present and future tenses. This is a fun way to learn a language rapidly and will have you speaking real Portuguese straight away! This product is available as a download as well as on audio CD. Learn essential words at the heart of the Russian language and how to put them together to make yourself understood. Volume 1 deals with the essentials you need for a trip abroad, whilst Volume 2 deals with more general conversational terms including the past, present and future tenses. This is a fun way to learn a language rapidly and will have you speaking real Russian straight away! This product is available as a download as well as on audio CD. Learn essential words at the heart of the Spanish language and how to put them together to make yourself understood. Volume 1 deals with the essentials you need for a trip abroad, whilst Volume 2 deals with more general conversational terms including the past, present and future tenses. This is a fun way to learn a language rapidly and will have you speaking real Spanish straight away! This product is available as a download as well as on audio CD. Learn essential words at the heart of the Turkish language and how to put them together to make yourself understood. Volume 1 deals with the essentials you need for a trip abroad. This is a fun way to learn a language rapidly and will have you speaking real Spanish straight away! This product is currently only available as a download.